Most people who visit Newport are seeking mansions, beaches, fine dining and shopping. But Newport's landscape is filled with so many other significant places to explore. From museums to historic monuments to relics of the revolutionary and civil wars, Newport's 400-year history boasts a wealth of cultural and historical destinations that are just begging to be rediscovered. Great fun for both the history buff who appreciates Newport's storied past as well as those who appreciate fine art and craftsmanship in buildings, boats and artwork. Chartered in 1741 by King George II of Great Britain. The museum has extensive collections of military artifacts including a bronze cannon cast by Paul Revere and military uniforms worn by Colin Powell, England's Prince Phillip, King Hussein of Jordan and Egyptian President Anwar Sadat. Located at the historic Newport Casino. Dedicated to preserving the history of tennis and enshrining tennis heroes and heroines. 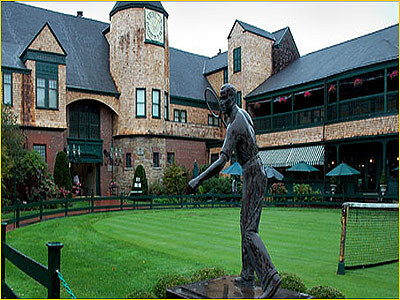 The Casino's historic courts are the world's oldest continuously used competition grass courts and the only competition grass courts open to the public for play. Located in the Vernon Court estate on Bellevue Avenue. The museums collections include works by Norman Rockwell, N.C. Wyeth, Charles Dana Gibson, Howard Pyle and many other great American artists and illustrators. Museum exhibits identify milestones in the development of war at sea and chronicle the relationship of the U.S. Navy with Narragansett Bay and its people. 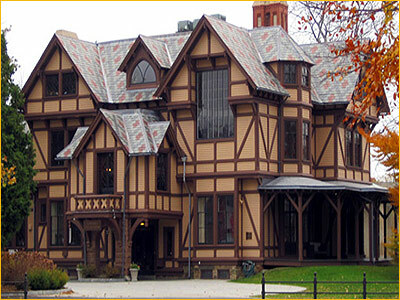 A true icon to the arts in Newport, the Newport Art Museum has served Newport and its visitors since 1916. 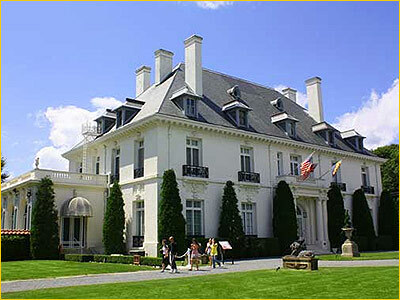 The Art Museum historic and contemporary visual arts with an emphasis on the rich artistic heritage of Newport, the state of Rhode Island and southeastern New England.Also sponsors events and fundraisers throughout the year. NEW ATTRACTION!! 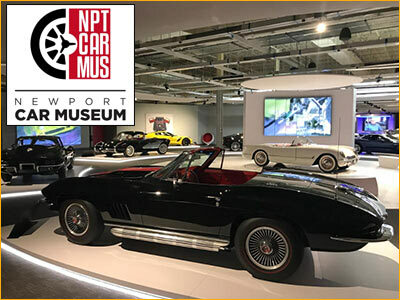 -- The Newport Car Museum opened its doors in 2017, greeting visitors with over 50 cars displayed year-round at an interactive museum. Besides learning all about their vintage cars, enthusiasts can enjoy six racetrack simulators and an extensive collection of mid-century furniture throughout the galleries. Highly recommended for the whole family and just a 10-drive from downtown Newport. Prescott Farm is land typical of Aquidneck Island farms of the 18th and 19th centuries. 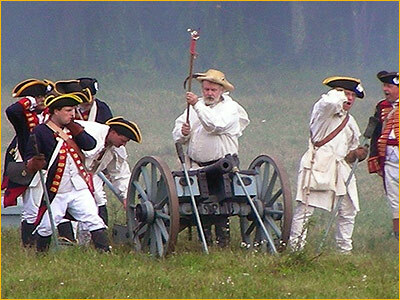 Step back in time and see life the way it existed in colonial New England. 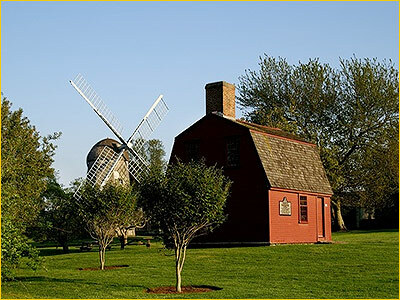 40 acres of gardens, a real windmill and restored buildings are a fun and educational way to spend a day in Newport. 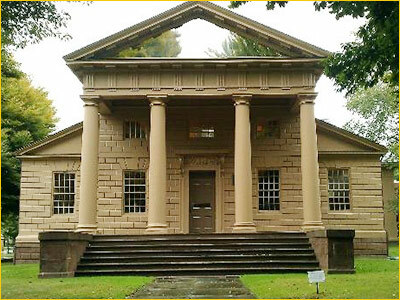 Founded in 1747, The Redwood Library and Athenæum is the oldest lending library in America. The library is home to many special collections of books, rare antique furniture and portraits. As its name suggests, the Rose Island Lighthouse sits on the edge of a small island situated in the middle of Newport Harbor. It is only accessible by boat. 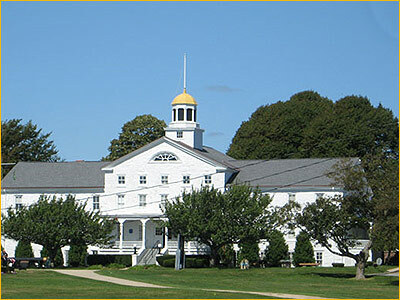 It was built in 1870 to guide ships around the shoals surrounding Newport Harbor. 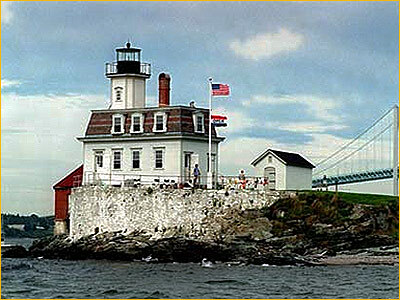 The lighthouse is now available for public tours and overnight visits as guest lighthouse keeper. The views of the Newport Bridge, the harbor and all of the bustling wharves of Newport make the trip over just as exciting as the lighthouse and Rose Island. Former estate of tobacco heiress and preservationist Doris Duke. 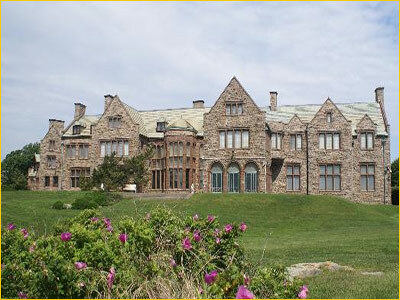 Originally built for Frederick W. Vanderbilt, sixth son of William H. Vanderbilt. When it was commissioned in 1887, Rough Point was the largest house in Newport RI's summer colony, replacing two wood-frame houses at the extreme southeast end of Bellevue Avenue. Home to one of the area's most remarkable collections of private art. 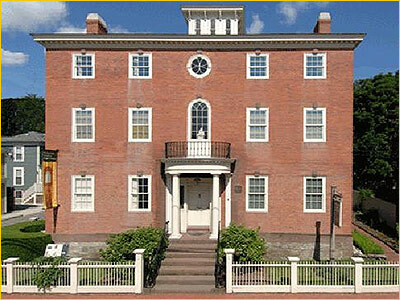 Built in 1811, The Whitehorne House is one of Newport's only Federal style mansions. Fabulously restored by tobacco heiress Doris Duke, today it is home to a significant collection of early American furniture. The oldest Synagogue building (1763) in the United States. 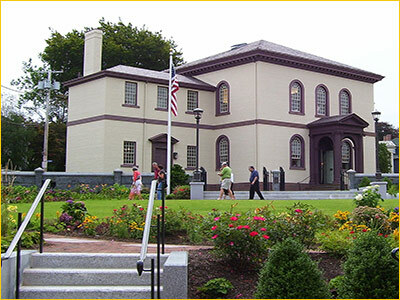 Designated as a National Historical Site, the Touro Synagogue is open for tours. Fascinating history of the first Jewish settlers in Newport, arriving in the late 1600's from Barbados and Brazil via the Caribbean.